The 'Southwest' airlines look less and less like the carrier that first inspired them. A 20% boost in 767 freighter and KC-46 tanker production may come with some creative maneuvering to speed up and make room in the factory. An entire community of airlines around the planet have been based around Southwest Airlines. It’s a model oft-replicated with great success: A single fleet type with a single-class of service, low-cost integration, deliberate organic growth, high-utilization, fast on the ground, slow(er) in the air. It’s a model that thrived for decades. But the community of established mature low-cost players in North America, Europe and Asia (Southwest, JetBlue Airways, Alaska Arlines, Ryanair and SpiceJet) are all facing existential decisions about the path forward and asking how to grow and evolve without losing the core ethos of their business: Incremental low-cost simplicity and doing one thing really well. Westjet’s reputation has always anchored itself as the “Southwest of Canada,” but what was once a single carrier, has really become several distinct units. The first indications of this split came with its regional Canadian feeder flights with the purchase of the Bombardier Q400 in 2012. That followed with the carrier’s testing the waters with medium-haul 767 service across the Atlantic and the creation of Swoop, its own ultra-low cost arm. Now we have another distinctly new Westjet: Its long-haul Boeing 787-9 business. The Westjet of 2008 would hardly recognize the Westjet of 2018. 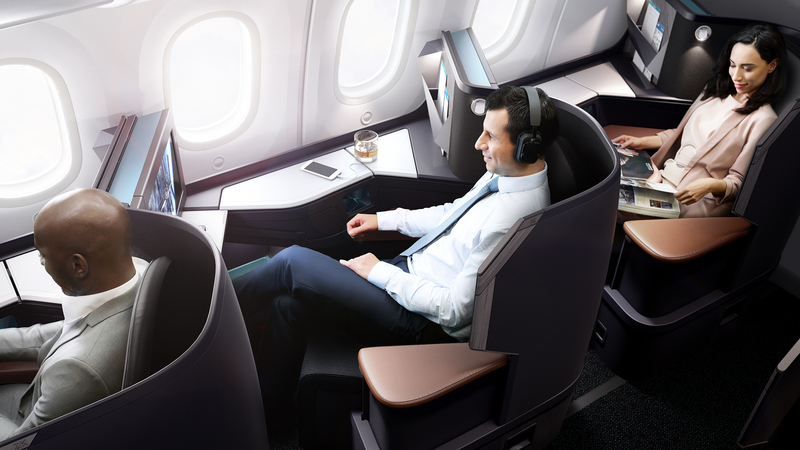 Three-classes of service, lie-flat business class seating with turndown service, a self-service bar and seat-back in-flight entertainment at every seat. It’s moving to match Air Canada and Rouge – its airline-within-an-airline – nearly move-for-move with Dreamliner deliveries starting in 2019. Notably, Westjet has delivered its growth organically – not even Southwest has managed that. It hasn’t merged with another airline to expand its reach (though its joint venture with Delta Air Lines may offer a single NAFTAIR carrier with AeroMexico in the mix.) But consistently-profitable Westjet’s strategic fragmentation is getting expensive. The stock was down around 10% on Tuesday after it missed analyst estimates due to the cost of its new path and its been buffeted by potential (and rare) labor unrest and recent management upheaval. The carrier isn’t the only one figuring out which island to swim (or fly) to next. Southwest is looking to Hawaii by years end with the 737 Max, JetBlue possibly to Europe in 2019 with the A321LR, SpiceJet (and maybe even Alaska and Ryanair) toward medium-haul international flying with the NMA. But Westjet’s own growth path (and its struggles) may very well represent the tip of the iceberg for the next decade of low-cost airline evolution as the ‘Southwest’ airlines look less and less like the carrier that first inspired them. Southwest of 2008 wouldn’t recognize the Southwest of 2018. Herb Kelleher’s Southwest wouldn’t recognize the Southwest of today. WN to Hawaii– who’da thunk? WN on international service–who’da thunk? WN as the largest US domestic carrier–who’da thunk? WN long ago gave up the leadership in low fares. It’s much easier to get a low fare on AA, DL and UA than it is on WN. The “Southwest model” has long been dead. Westjet certainly has basically chunked the old WN playbook out the window. Will be interesting to see how long haul using 787 ends up working for them. Its a huge risk.